Today was a very proud day for Albany. 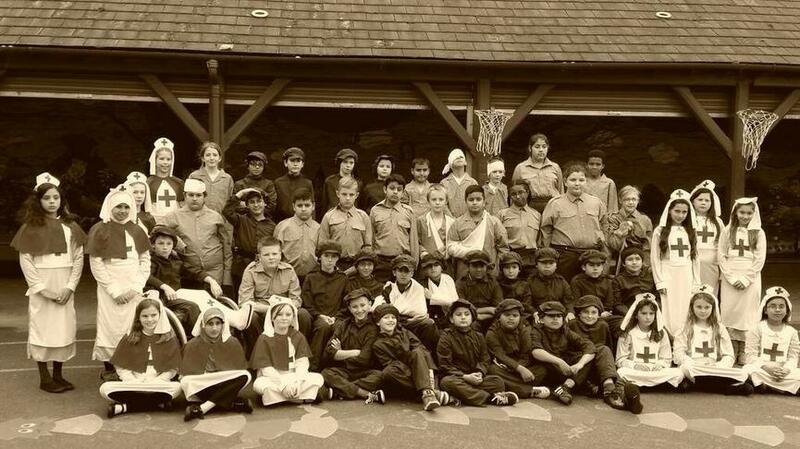 The year 6 pupils created an exhibition as part of the Roath Remembers project to commemorate the anniversary of the start of World War One and remember the important role that our school played as a Military Hospital during this time. The children shared their poetry, letters and postcards along with some fantastic models of trenches and artwork. We had over 600 visitors to the school between 10am-3.30pm. The visitors were given tours of the school as a military hospital and some musical performances. 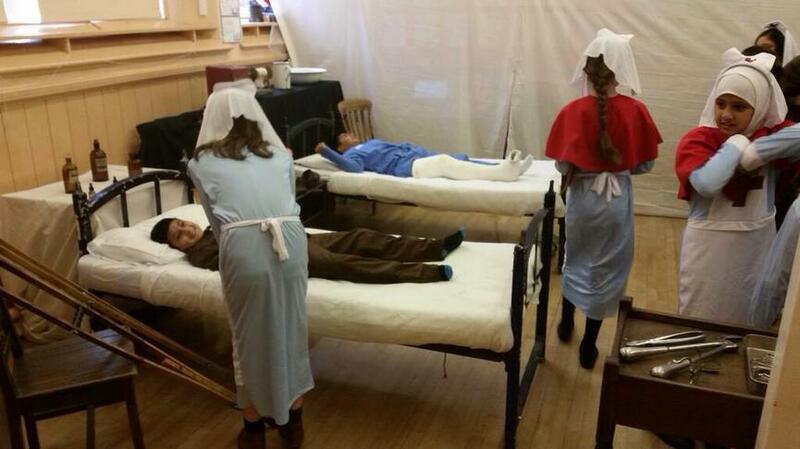 There was also a WW1 hospital ward recreated on site. Feedback from members of our community was incredibly positive and we were incredibly proud of our pupils. The exhibition was also covered by Wales Online and was broadcast on ITV Wales news tonight. Well done and thank you to everyone involved in the exhibition and to all the members of our community who supported the event. We learnt a great deal of information from some of our visitors including stories from the children of soldiers who were treated in Albany Military Hospital. We also had some new artefacts brought to the school including a handwritten postcard from a hospital bed in what is now class 1.